This weekend I’m dedicating my Saturday to…ME! Yep, me time to catch with myself, relax and possibly tackle my ridiculously overgrown brows. Before I get the lawnmower out for my brows though, I decided, my skin was looking a little lacklustre this morning. I needed something to help brighten it and leave it feeling refreshed. 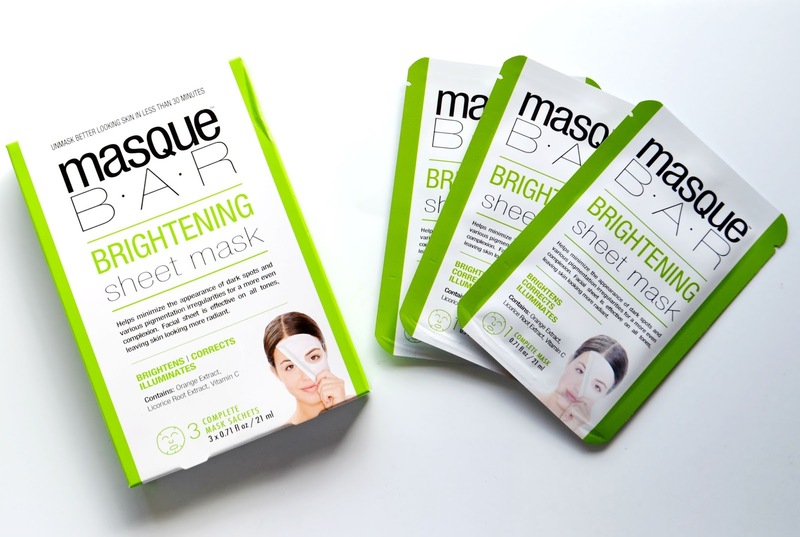 Luckily, at my last trip to Boots, I had picked up Masque Bar’s Brightening sheet masks and decided to give them a go. I had no idea, this product originates in Korea but when I did find out I was even more eager to try it as I know Korean Beauty products are supposed to be brill. The instructions are fairly simple.Wash your face, unfold the mask and put it on to your face. Leave it on for 20-30 minutes and remove. Easy peasy. I was pleasantly surprised to find that when I took the mask out of the packet, it was very wet. This meant that there was a generous amount of product on the mask which hopefully would eventually soak into my face. The ingredients in the mask included Orange extract, licorice root extract, and vitamin C, all of which sounded promising. The packaging states that the mask will “help minimize the appearance of dark spots and various pigmentation irregularities for a more even complexion in under 30 minutes”. I liked that the mask only had a very slight subtle smell, nothing too orange-y nor was it too clinical or medicinal. 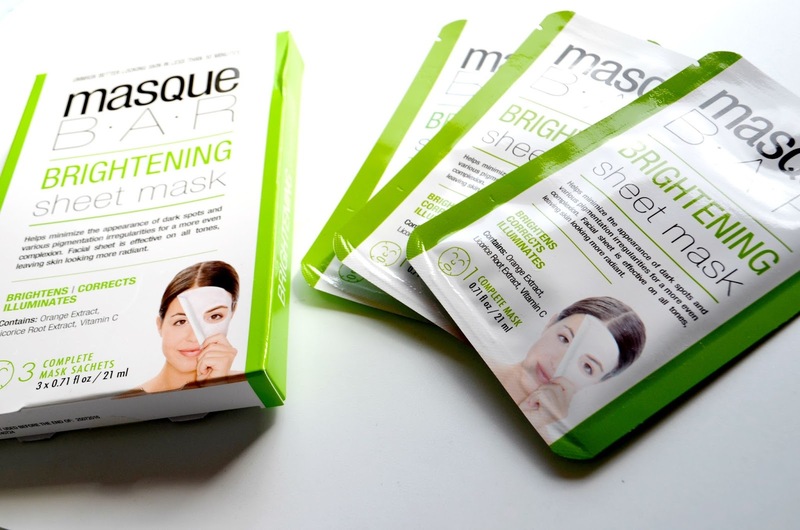 The mask has little slits on the edges which help you to spread it out across your face. Since I have a pretty small face, I knew I’d struggle with it a little and in the end I ended up looking like something out of a horror film. I had expected the mask to dry during the 30 minutes I had kept it on but it stayed wet. From the moment I had it on, my skin felt very tingly and by the end of the 30 minutes, I was eager to get it off my face because the tingly sensation almost felt like it was burning. Not good. Still, my skin was fine and I removed the mask in one easy swoop and washed off the residue. After using the mask, the first thing I noticed was that my skin felt very hydrated. There was a subtle difference in how bright my skin was, and I’m assuming if I used the mask regularly it would definitely help work. I’ll definitely continue to use the rest of the masks and if my skin showed a great difference with evening out my complexion then I would invest in this product again. Have you ever tried any Korean beauty products?